Love is a beautiful word, That ties two people in one thread. Love needs commitment, And is full of sentiments. 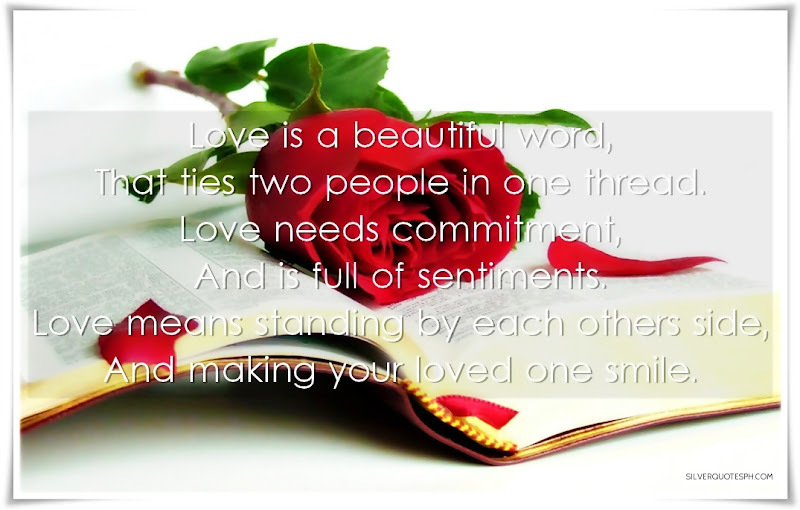 Love means standing by each others side, And making your loved one smile.